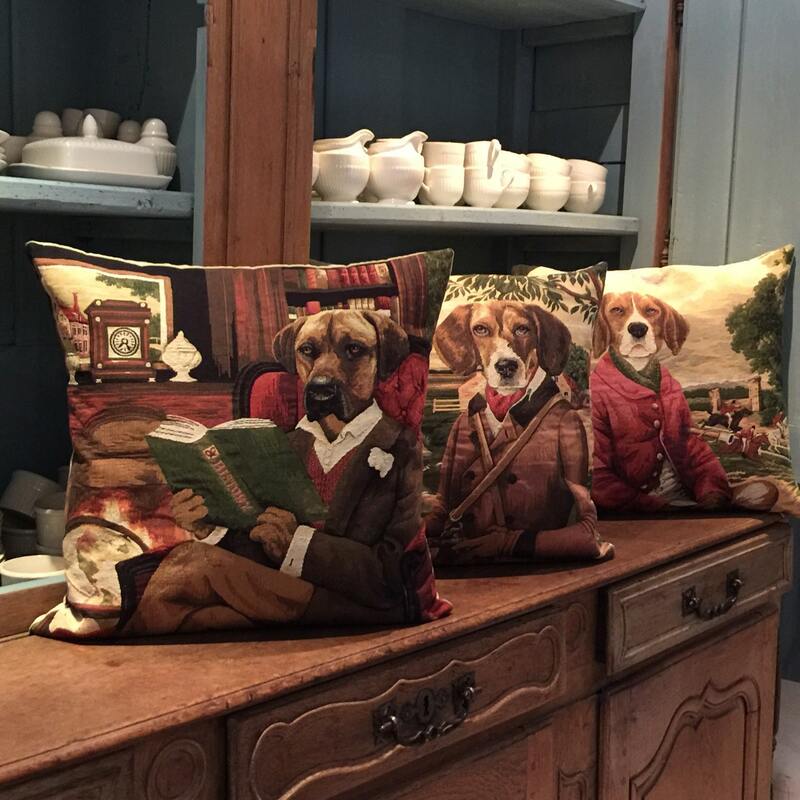 This tapestry cushion is part of a line of three cushions showing dressed dogs in a typical english setting. 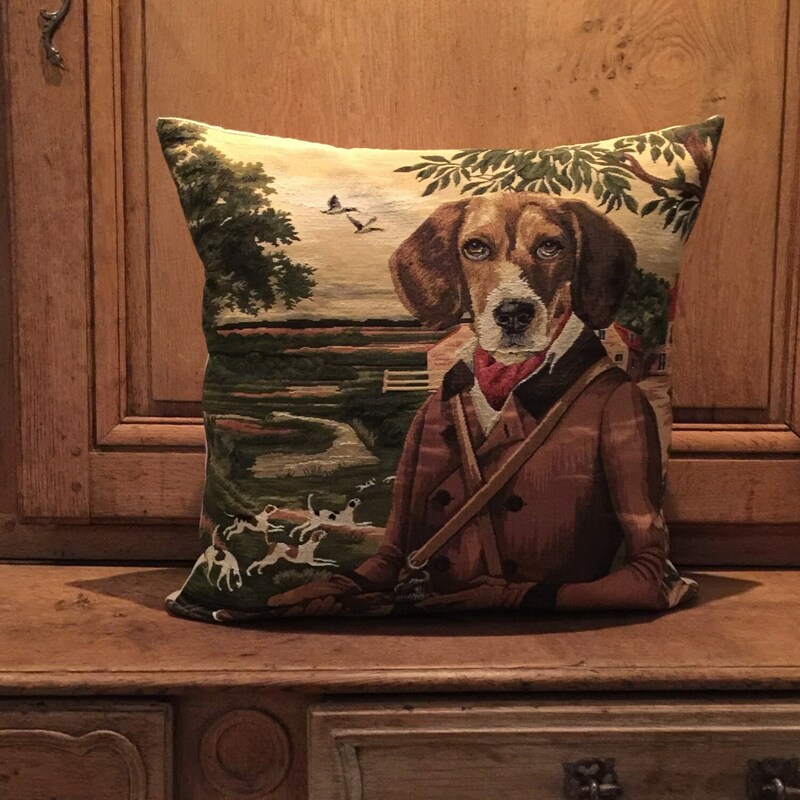 It is designed by Sabine and is woven on a jacquard loom. Tapestry design is a craft that only a few master and Sabine is one of them. She starts from a high resolution image, which she scans and then comepletely reworks it until it is ready for weaving. Averagely, the "cleaning up" of an image takes between 12 and 16 hours. Respect ! 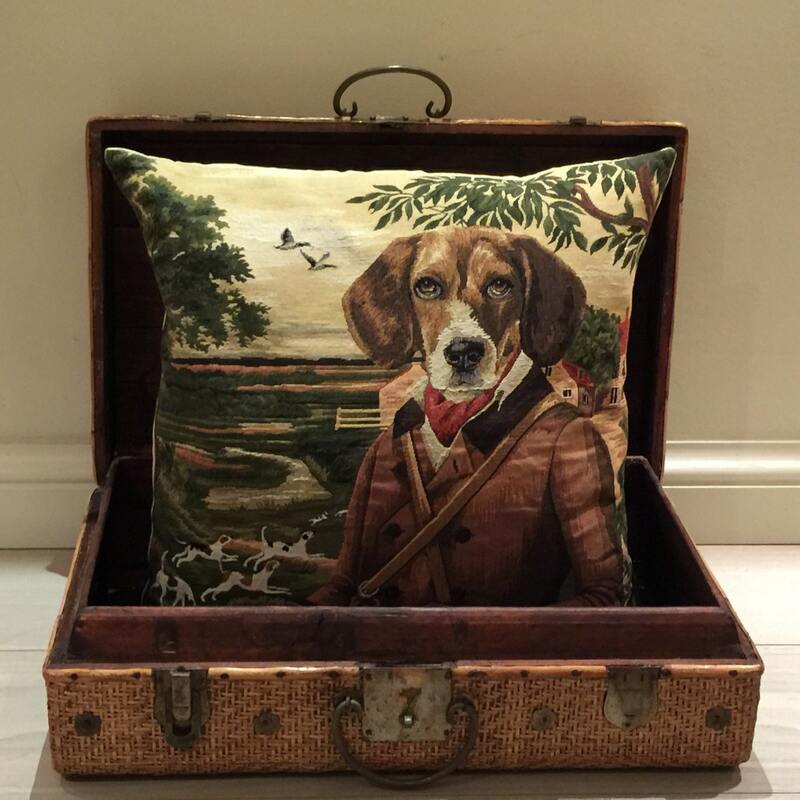 This pillow cushion cover is absolutely stunning! 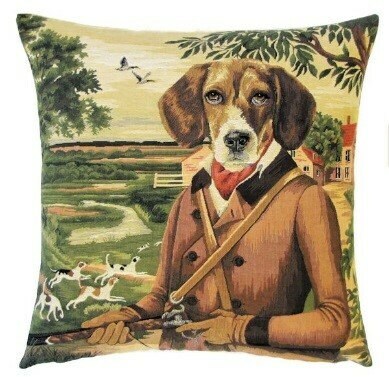 I ordered more pillow covers from YapatkwaTapestries to decorate my living room.